I took time to write this even tho my english isn't perfect. Thank's to the team to take my feedback in consideration. After 4 years now we need an improvement in this aspect of the game, 3 years left for this game so I want to see an overhaul on sims themselve before this game ends. 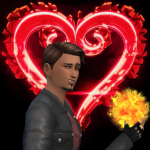 It's a thread for players like me who are tired of playing with the same sims for now 4 years, so if you're don't agree with me, thank's to keep my thread sane. The big problem of the game starts here. Emotions are too much present with NO coherent impact. The ''happy'' moddlet really needs to be decrease, the emotion with what they should start to work is fine. First we don't have enough traits for our sims, and now emotions are more impactful than traits, what a mess. 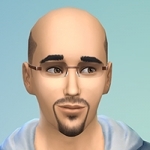 Traits are the base of a sim. Each traits should have a different gameplay, different actions and interactions. Not just a moddlet. The same as in TS2. A sim who is ''cold'' just can't have a relation with a ''romantic'' sim, or it should be VERY difficult. For the moment in the game, there's no any sense. Everyone can have a relation with everyone and I don't like it. I think I said all the things I want to be in the game. Let's share your ideas and thank's for reading! Sorry if there's some mistakes. I kinda agree with your assessment of emotions. My issue with emotions is that they don't last long enough. 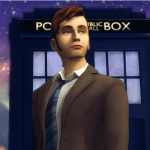 I remember when TS4 was about to come out, I saw a trailer about the emotion system. The video showed that the experiences of a sim would affect their lives and potentially have negative consequences. That excited me so much! But, the emotions change so quickly, the odds of your sim's day being ruined by something that occurred in the morning is slim to none. Sims can have an abhorrent conversation and become enraged, but as soon as they walk into a nicely decorated room, they're fine. It's not realistic at all. On a separate note, why do we even need the nicely decorated moodlet anyway? In real life, you don't feel happier by sitting in a room with expensive things. I think a lot of this happens to prevent the sims from being in the fine state for too long, but I honestly don't think there's anything wrong with that. As far as chemistry goes, I do believe this game has an attraction system, but it's hidden. 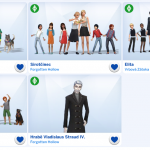 Have you ever noticed that there are some sims that just click and it's easy to get them together while some is like pulling teeth? I have some sims that no matter what save I put them in, they always fall madly in love with each other while others are just not into each other. BUT, at the same time, all sims are alike. For example, ALL non-commital sims eventually end up wanting to get married if their relationship is high enough. Why? Because there are no trait based whims. Everyone gets the same whims no matter who they are. Totally agree that sims in a committed relationship shouldn't be so easily seduced! And, jealous sims shouldn't react to EVERY LITTLE THING their significant other does. That's not jealous. It's crazy! The "nicely decorated" moodlet (I guess) is a throwback to the very first sim game, where "environment" was one of sims primary needs next to hygiene and entertainment. A sim with an ugly house was pretty much miserable no matter what you had them do. I still remember the wild grind just so I could purchase an expensive painting for my household and make them finally stop complaining about their ugly surroundings I do agree though we don't need a moodlet like that now since the new generation of sims couldn't care less about whether you had them live on an empty lot with just a bed and a toilet or a mansion. Why have a nicely decorated moodlet when there's no "dang, my house is freakin' ugly" one? The hidden attraction system I believe is based on traits and skills. Now I have no proof for that but whenever I notice my sims gets along with someone extremely well later on I usually discover they share the same traits, and if they don't, they usually possess the same skills which mean they share interests. @EA_Mage Sorry to tag you again, but can you at least send it to the team? 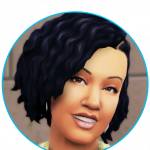 Me and a lot of simmers desperately hope to see some changes on personalities. Maybe @SimGuruKate is a better tag. I would love to see the return of memories! I liked having them in The Sims 2, but obviously would like to see it expanded upon. Totally agree with all you have said, but the thing I hate the most is the traits. 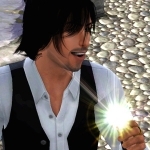 Sims just do not behave in accordance with their traits (well, not very much anyway). I have a sim who is a mean slob and hates children and she's often automatically cleaning and chatting nicely to the kids. Drives me round the bend. My bookworm sim hardly ever reads books if left to her own devices. What do evil sims ever do? Apart from the evil laugh occasionally? There are a few traits which are not too bad, but most of them make no difference to how a sim behaves at all. Yeah traits don't do anything, it's a pity.. I find I have to look up their traits in the UI to find out what their traits are. In past Sims games I could tell just by observing them. I particularly loved couched potatoes in TS3. They really enjoyed siting back on the couch or bed and just watching television. I find I have to look up their traits in the UI to find out what there traits are. In past Sims games I could tell just by observing them. That is definitely true, and I hadn't even thought about it explicitly before. But you're right. I do the same thing -- look them up to see their traits. Right now, for the first time in my Legacy household, the Gen 3 heir as a child has "dog lover". (She just turned teen yesterday.) Now, this does give her some "whims" about wanting to pet the dog, and she gets some extra interactions and maybe a moodlet here and there. But... if she is a "dog lover" why doesn't she, just autonomously, go play with the dog more than other Sims? She does not. Now, pet interactions are bugged as all get-out, so the dog lover Sim, like any other Sim, will be doing an activity and have her queue suddenly fill up with 20 or 30 scrolling "pet dog, pet dog, pet dog, pet dog, pet dog, pet dog, pet dog, pet dog, pet dog, pet dog, pet dog" interactions. But absent that, she hardly ever autonomously interacts with the dog. She will walk right by him to play with her doll house. Just like the other child in the house who does not have the "dog lover" trait. Shouldn't she be obsessed with the dog rather than the computer or the doll house? But no... she acts toward the dog just like every other Sim in the house. And this is just one example of your point. 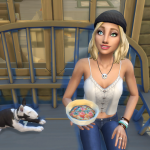 By watching the household and not controlling any Sims, you would not be able to tell that this Sim is a Dog Lover or that Sim Loves Outdoors. 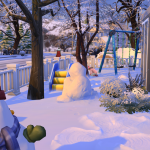 Sure the Loves Outdoors Sim is happier when she's outside, but if I don't *send* her out there, she's just as likely as any other Sim to just stay inside and paint or play video games as the next Sim. @SimGuruKate look at this, it would be a great example to see how the team can improve traits and how they should work in live mode. Yep, I totally agree with you OP. Sims in TS4 need to remember who they are enemies with & who their husband cheated on them with! There should be some sort of memory system like there was in The Sims 2. More traits are needed, but they should actually work. There should be a noticeable difference in sims personalities. A lazy nerd and an outdoorsy neat freak shouldn't act the exact same way and enjoy doing the same stuff! I made a thread kind of like this 1 a while back, I hope more players see & be vocal about these missing features & broken trait system.. maybe a developer will take notice and fix The Sims in TS4. We had all this in The Sims2, why can't we have it in The Sims4? Please Bring Back Toddlers, Realistic Teenagers and Create a World. I know, but we should always continue to talk, if we don't say anything, it's 100% sure that we'll never see any improvement. The only thing I can really think that would be a real Game changer is "a Favorites system"
Sims would be able to choose up to 3 items, under each category. When I'm doing my favorite hobbies, I'm Focused, and having a lot of Fun. Foods and Drinks, +Happy when eating excellent quality/binging, +Sadness when having not consumed favorite dish over a long period of time/bad quality. Color, I'm more confident when I wear red, I just feel good when I have my favorite blood red hoodie on. University will most likely bring more trait slots. 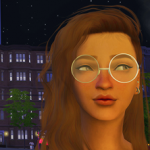 I like that in TS3 and TS4 as I saw that Uni as a stage of life that lead to more growth and development, plus it was another reason to send them to University. 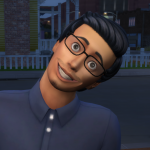 As for the person being all negative about what simgurus care about, people said the same things about all the other things that were missing from the game at one point or another that were added, especially toddlers. When enough people care about it, they care about it. You can't let anything, or anyone stop you from bringing up the issues. My hot heated, noncommittal sim rolled the wish to break up with her partner due her traits. I almost always use these traits and I had never seen it before.. I was so happy that I gave her what she wanted right away. I use mods to enjoy the game, like the remove nicely decorated ad uncomfortable boosts negative emotions. The game without mods like this is unplayable to me. Players are saying that the emotion system needs some serious work since 2015 but nothing has changed, it got worse in fact... see all the positive buffs from laundry day.